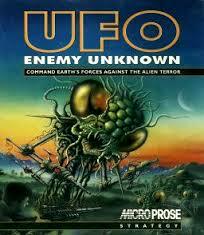 Little Bit of History: Originally released on May 22, 1980 (today’s his 35th Birthday) by Namco. 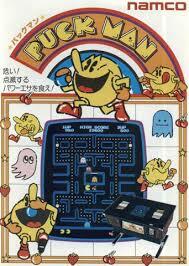 Pac-Man (originally called Puck-Man) was created by Tōru Iwatani based on a pizza with a slice missing. Pac-Man is one of gamings all-time great and most iconic characters. 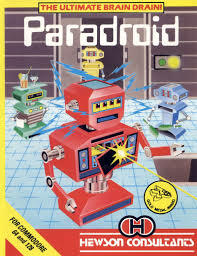 This game featured some very early AI programming in the form of the ghost enemies who were programmed to act differently. The original arcade version is part of the collection of the Smithsonian Institution in Washington. Little Bit of Plot/Story: No real plot. You control Pac-Man around mazes having to eat up all the smaller pellets and power pills to clear the maze while avoiding ghosts. Little Bit of Character: Joining the titular Pac-Man in the game were the just as famous ghosts; Blinky was the red ghost and was the chaser following Pac-Man’s every move. Pinky was the…well pink one and designed to be an ambusher. Inky was cyan in colour and would try to get in front of Pac-Man. While Clyde the orange one was programmed to act quite randomly. Little Bit of Influence: Pac-Man went on to spawn a long running franchise in games. But also have 2 animated TV shows, a hit single. Pac-Man would even appear in TV and films, plus he had his own themed area at Six Flags Over Texas. But Pac-Man also spawned many clones and for both arcade and home formats. Little Bit of Memories: That intro music just before you start as well as that little ditty as Pac-Man dies is burnt into my memory forever. 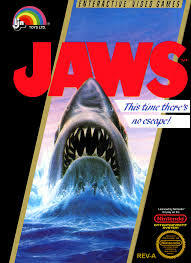 I recall this being one of my most loved childhood games and still is today. I also remember those cutscenes that were often very humorous. Little Bit of Playability: For me, this is still one of the most playable games today. Its simplicity is a huge part of it’s attraction and I have Pac-Man Museum installed on my Xbox 360. I could see modern gamers not really enjoying the game though, but I would recommend trying; Pac-Man Championship Edition DX, which is a stunning remake and offers a lot of gameplay and variety. This is just one part of my Pac-Man Birthday celebrations. Please feel free to read my Pac-Man Bio and even multi-part retrospective at every official Pac-Man game in the franchise. 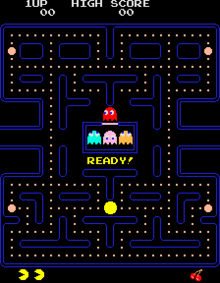 This entry was posted in LBoG: Game Overviews and tagged Arcade games, game reviews, LBoG: Game Overviews, Little bits of gaming, Namco, Pac-Man, Pac-Man Championship Edition, Pac-Man game, retro gaming, Retro gaming blog on 22/05/2015 by Steve Perrin. 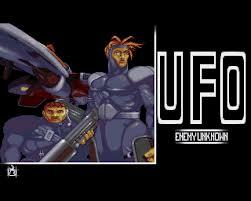 Little Bit of History: Released in 1990 and bundled with the Super Nintendo Entertainment System (SNES) at launch. Produced & directed by Shigeru Miyamoto and published by Nintendo. Super Mario World was THE defining platform game of it’s time and often considered to being one of the best games ever made. Little Bit of Plot/Story: It’s a Mario game…what plot? Princess Toadstool has been kidnapped by Bowser…again and Mario & Luigi are tasked to saving her…again. Little Bit of Character: Joining Mario and Luigi in the quest to save Princess Toadstool…again, along for the ride is dinosaur thing Yoshi. Evil King Koopa Bowser brings his Koopalings with him; Larry Koopa, Morton Koopa Jr., Wendy O. Koopa, Iggy Koopa, Roy Koopa, Lemmy Koopa and Ludwig von Koopa. Little Bit of Influence: By this time, Super Mario was already an established IP with this being the 4th official Super Mario Brothers game. The franchise is still going today. 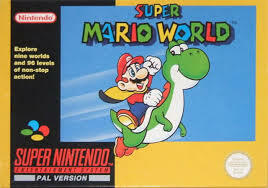 Yoshi went on to have his own franchise starting with Super Mario World 2: Yoshi’s Island. There was even a direct follow up planned called: Super Mario’s Wacky Worlds but it was in development for the Philips CD-i machine which was a huge failure and the game never saw the light of day. 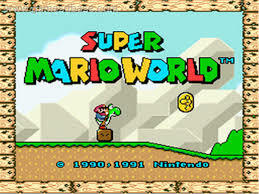 Super Mario World even spawned it’s own animated TV show. Little Bit of Memories: My best mate Paul brought a SNES and he would stay at mine usually on a Friday night where we would stay up playing Super Mario World all night into the early hours while listening to 90’s dance music. I remember the time we finally finished the game and all 96 levels, including that damn tricky Star Road unlocking the new alternate world…all without a guide. That Butter Bridge level still haunts me to this day but the music was catchy. Little Bit of Playability: Oh hell yes. Still one of the best (if not THE best) platform games ever made. Any classic gaming fan should play Super Mario World or it’s remake Super Mario World: Super Mario Advance 2 on the Gameboy Advance. If you have the chance to play this game…play it. This entry was posted in LBoG: Game Overviews and tagged Game retrospectives, game reviews, Little bits of gaming, Mario, Mario and Luigi, Nintendo, retro gaming, Retro gaming blog, SNES, Super Mario, Super Mario Brothers, Super Mario World, Super Nintendo, Super Nintendo Entertainment System on 19/05/2015 by Steve Perrin. Little Bit of History: Designed by Jordan Mechner and published by Brøderbund. Prince of Persia was released in 1989 and started a sub genre of gaming known as the cinematic platformer. Jordan Mechner has said he got the idea for the game from watching his younger brother running and jumping while playing. In fact the rotoscoping used for the animation of the main character is that of Jordan Mechner’s younger brother. Little Bit of Plot/Story: You play as a nameless protagonist, you are locked in the dungeons of a place to be kept away from the Princess. The Princess is being held against her will by the evil Jaffar who forces the Princess to marry him or be executed. You have to fight your way out of the dungeons and get to the Princess before she is executed all in 60 minutes. Little Bit of Character: Along with the nameless protagonist and even nameless Princess. There is the antagonist, Jaffar and various nameless guards and even a doppelgänger of the protagonist to contend with. Little Bit of Influence: While Jordan Mechner has said he was influenced by Arabian Nights stories and the Indiana Jones films, Prince of Persia has gone on to become it’s own successful franchise spawning sequels, reboots and remakes. An interesting note being that the Assassin’s Creed game series was in fact originally going to be developed as a Prince of Persia spin-off called; Prince of Persia: Assassins. 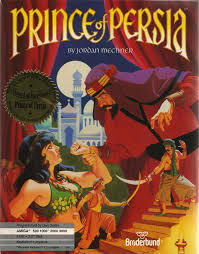 Prince of Persia also inspired other similar games such as the Tomb Raider and the Oddworld series among others. Little Bit of Memories: I still remember the first time seeing this game and thoroughly being impressed by the animation. The game was a joy to play back then with action a plenty as well as offering a fair but tough challenge. Trying to work out how to defeat that darn doppelgänger had me stuck for ages until the obvious answer came to me. Little Bit of Playability: The game is still a great little title to play now and again but some may find it a little “ropey” by today’s standards. But I urge gaming fans to try the game out or even it’s remake Prince of Persia Classic. 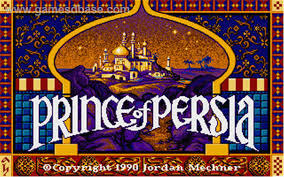 This entry was posted in LBoG: Game Overviews and tagged Commodore Amiga, Jordan Mechner, Little bits of gaming, Prince of Persia, retro gaming, Retro gaming blog on 19/05/2015 by Steve Perrin. Little Bit of History: Designed by SEGA legend Yu Suzuki, developed & published by SEGA and released in 1986. 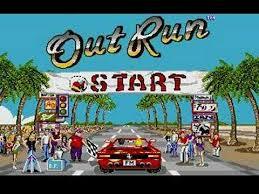 OutRun was a pioneering arcade racer and often remembered as one of the best arcade games ever made. Little Bit of Plot/Story: No real plot. Just you taking your girlfriend in a Ferrari Testarossa for a high speed drive across some very pretty scenery. Little Bit of Character: No real characters either as the two occupants of the car have never been named. Little Bit of Influence: Pretty much any and every modern racing/driving game today. OutRun may not have been the first game of it’s style, but it was the one that laid the foundations for the genre today. 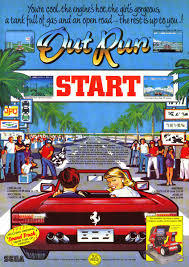 OutRun also went on to spawn sequels and spin offs itself as well as the game being ported to pretty much every home console/computer at the time. Little Bit of Memories: The graphics blew me away at the time and seemed so “realistic”. The speed the game moved at was just as impressive and really gave a great heart pounding, palm sweating experience. The music was also very memorable and even allowed you to choose what musical track you wanted to listen to while racing via an ingame FM radio. Also, I recall that awesome sitdown cabinet that would react to the action on screen. 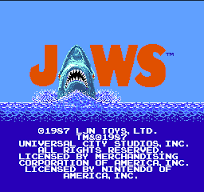 Little Bit of Playability: Yes, still very playable today and a great arcade classic. Or you could try one of the more modern OutRun games with OutRun 2006: Coast 2 Coast being a personal favourite. But if you can get a hold of the arcade original I say give it a go while listening to some Magical Sound Shower. This entry was posted in LBoG: Game Overviews and tagged Arcade games, game reviews, Little bits of gaming, OutRun, retro gaming, Retro gaming blog on 12/05/2015 by Steve Perrin.